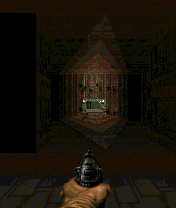 C2Doom is a Doom engine port. 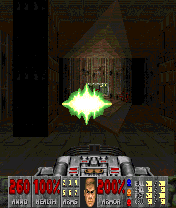 There are two versions of C2Doom: core and full. From full version there are two variants, complete version includes a WAD file. 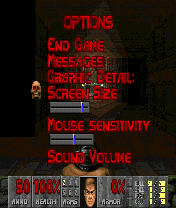 The core version is "game only", includes a WAD file as well (doom1.wad, i.e. 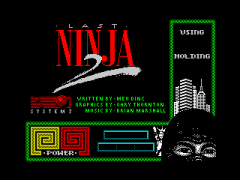 the shareware episode)! 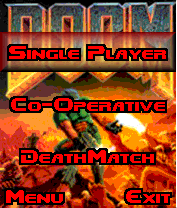 The full version has a S60 UI, that lets you select WAD files, single player or co-operative and deathmatch multiplayer modes (over bluetooth) and provides extra doom parameters. 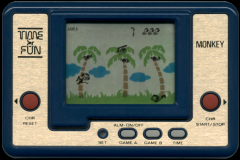 The user interface also lets reconfigure all gaming keys using an intuitive keymapper application, rotate screen while playing and open a cheat editor. The full version UI is also skinnable. 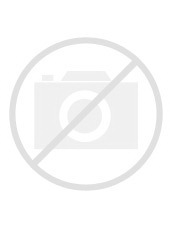 C2Doom for Symbian^3 has only one version. 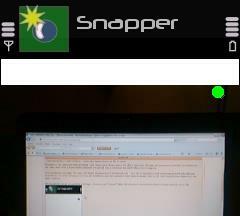 It is full version with lots of fixes and it has a new virtual keyboard for controlling. Hint: When game asks quit y/n, press '!' key.